When the big game is coming up, heading to your favorite local sports bar is a great way to watch your team play. Hanging out at a sports bar and grill comes with many benefits that will enhance your enjoyment of the game. Below are five reasons to head to one this week. Watching your team play at a sports bar offers the same lively atmosphere as if you were at the stadium. Find a comfortable spot and cheer and boo at will while enjoying food, drinks, and time with friends. The staff at the bar and grill will ensure you have everything you need without missing a second of the excitement. Sports bars have a full menu of delectable items perfect for sporting events. Wings, burgers, fries, nachos, and more are available as you watch. Wash it down with your favorite brew, and you won’t have to worry about cooking or shopping for snacks. Find fellow fans of your favorite team and bond as you watch the players score. 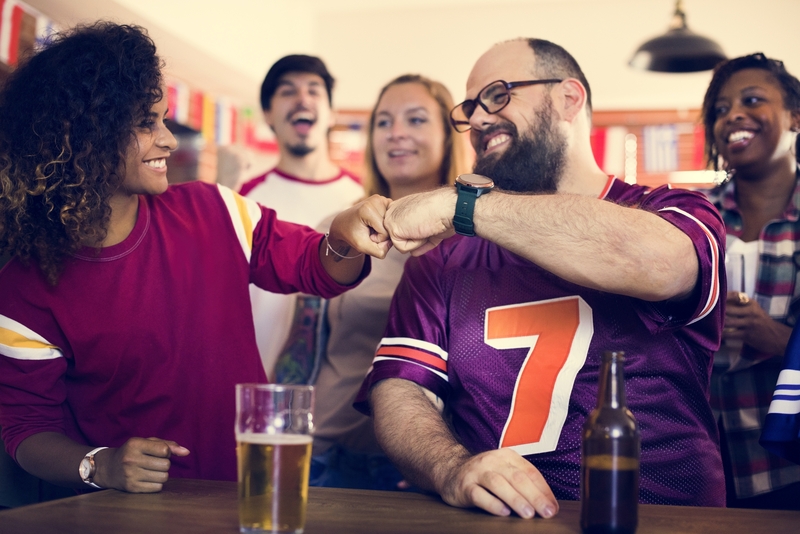 Whether you have met before or just that day, you and other fans can share the excitement of the win or the disappointment of a loss over a plate of wings and a cold beer. You can even heckle the opposing team’s fans for a little friendly game-day competition. If you can’t be at the stadium in-person, a sports bar’s large screens are the next best thing. Find your favorite seat and your view of each play will be clear and free from obstructions. When there are multiple games on at once, you don’t have to worry about switching your home TV back and forth or missing critical parts. Sports bars have televisions throughout the restaurant that play different channels and cover that day’s games, events, and tournaments. The next time your favorite team is playing, head over to Kitty’s Sports Grill in Cincinnati, OH. With owners who have been part of the area for 50 years, patrons feel at home at this downtown sports bar. The casual atmosphere and delicious menu will make any sporting event exciting and enjoyable. Call the sports bar at (513) 421-8900 or view the restaurant’s menu online.